The criminal justice system can be a complex system, especially if you do not have a legal background. When one charged with a crime, a defendant will be faced with many legal issues and legal jargon that can be confusing and overwhelming. For this reason, anyone who is charged with committing an illegal act should hire an Experienced Brampton criminal lawyer to make sure their rights are protected and they have the best possible defense. A criminal lawyer works on a client’s behalf to ensure they are treated fairly and justly as their client traverses the legal system. Criminal lawyers are trained and experienced in various areas of criminal law such as assaults, DUI, theft, murder, and much more. They have the expertise, knowledge, and experience to defend their clients while maintaining a strict code of ethics. This is vital because when a person is charged with an offense, they are presumed innocent until found guilty by a judge or jury of their peers. Criminal Defence Lawyer In Brampton are not just familiar with how the criminal process works, but they are able to effectively work with prosecutors, judges, and other legal officials. As well, they understand how to perform such tasks as organizing evidence, interviewing witnesses, making sure their client’s right was not violated at the time of arrest, filing appropriate court documents, negotiating with prosecutors, preparing the case for trial, and representing their client at trial. They can also work on behalf of their client to get the charges reduced or if possible, the charges withdrawn if they determine that the case has no merit. The fundamental goal is to achieve the best possible outcome for their client. It is one of the most basic duties of a lawyer to meet and interact with a client to discuss a case. This is important to clear the queries and doubts involved in a case. This is a significant aspect of all the jobs of a lawyer. He is supposed to manage the case of his client by doing the needful. He must organize all the necessary paper-works, index demonstrations and review communication details on a regular basis. A criminal case usually is considered to be a more serious case than all the other kinds of cases. It needs prior preparation to ensure nothing goes haywire at the court hearing. An attorney must make sure that he prepares properly by acquainting himself with all the necessary details regarding the case. He also needs to make sure that he has extra copies of all the documents of a case to provide the court officials with. Criminal cases usually require a lawyer to discuss negotiable terms with the opposite party to try helping his client get a lighter sentence. This may need one to consider a plea-bargain offer that is a motivation for a defendant to ask for a lighter charge. If you represent yourself in the trial, you will greatly increase the likelihood of being found guilty because you will lack the essential knowledge to successfully defend yourself. Anyone who is charged with a crime has the right to a lawyer and will be assigned one if they can not afford one. This type of lawyer is a public defender. 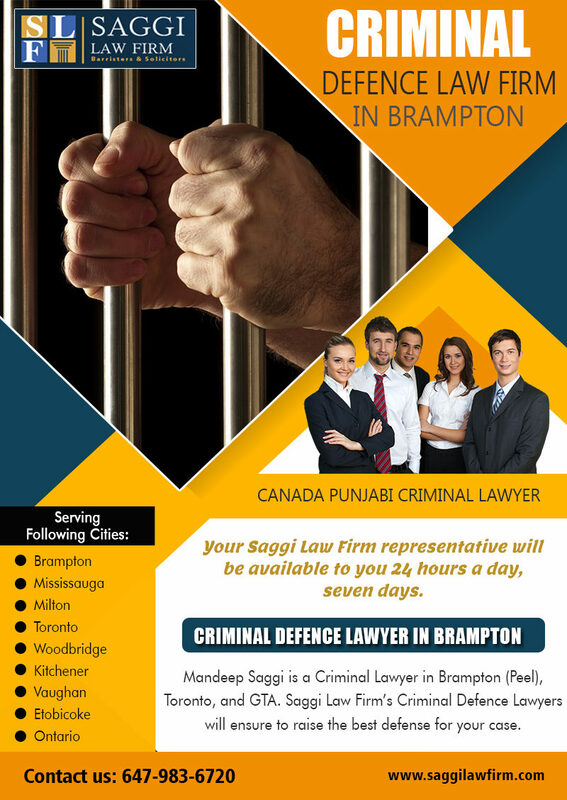 Find A Criminal Lawyer In Brampton Ontario because it is mandated to offer you the best possible advice so you can make an informed decision about how you should proceed such as pleading guilty or going to trial. As well, because it can be a very stressful time, a criminal lawyer will be able to keep their client up-to-date on their case and explain issues that will help the client understand the court process. If you are charged with a criminal offense, it is important to not make any statements to the police and exercise your right to counsel. The police will stop the interview so you can get a lawyer. 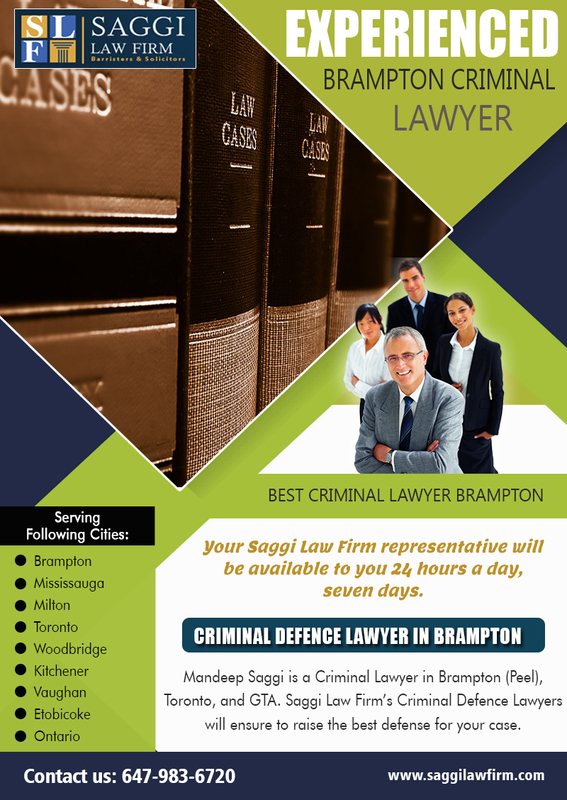 When considering a lawyer, it is important to hire a Criminal Lawyer Practicing In Brampton. There are criminal lawyers that specialize in certain areas and lawyers that provide representation for a wide range of offenses. The role of the criminal lawyer is not just to provide the best legal defense, but they also make sure the criminal process is fair and just. It is vital that the defendant is completely open and honest with their lawyer so he or she can create the best defense. When charged with an offense, many people can find the experience terrifying. They can often feel alone and intimidated by the criminal justice system. A criminal lawyer fighting on their behalf can reduce anxieties and fears. The best decision you can make when charged with an offense is to hire Criminal Lawyer Practicing In Brampton. You will be provided with expert legal advice and greatly improve your chances of a fair outcome.